Another Milestone for the PEN® System! What is the effectiveness of dietary counselling given by dietitians compared with other health care professionals for the management of chronic disease? There is only limited information published on costs, but it suggests that “dietitian-delivered interventions have lower costs per participant and economic benefits (i.e. reduced hospitalization and medication use) compared to non-dietitian interventions for diabetes prevention and the treatment of diabetes, dyslipidemia and cardiometabolic risk.” Click here to access the complete answer to this practice question. Many of the practice questions covered in this new KP address nutrition counselling and education interventions in a variety of health conditions. Evidence Analysts examined the literature on topics such as the impact of nutritional intervention on malnutrition risk in acute care, the number of dietitians needed in primary care and how to best to work with clients to increase fruit and vegetable consumption or reduce sodium intakes. What are the health-related effects of a registered dietitian providing nutrition interventions to adults with a mental illness? Is parent-based nutrition education by dietitians an effective method for improving daily fruit and vegetable intake among preschool-age children? This is just a quick peek of the 200th KP in the PEN System. After you have explored it in more detail, we welcome your feedback as this will help us to make it as relevant as possible for your practice. Not a subscriber? Sign up for the free 24-hour trial to see what you are missing! Cranberry and UTIs? What’s the Real Deal? Looking for the latest information on urinary tract infections and cranberry products? See this updated practice question: Can the ingestion of cranberry products (juice, tablets/capsules, dried cranberries, or cranberry seeds) help prevent or treat urinary tract infections? Is a reduced saturated fat diet recommended for primary or secondary cardiovascular disease prevention? To find out, see this updated Practice Question. Are you in the know about this debate? Check out the latest Trending Topic to find out. The PEN Team is always seeking ways to make PEN more useful for our users and ways for our work to be more efficient. Based on user feedback, as well as outcomes from our PEN Team’s recent review of efficiencies, it was identified that a new tool, the Summary of Recommendations and Evidence (SRE), was needed. The SRE organizes all of the questions in a knowledge pathway by topic. It is your one-stop shop to find the key practice points (including Recommendations and graded Evidence) for the topics covered in the knowledge pathway. This replaces the Evidence Summary, which was a synthesis of just the evidence part of the key practice points, organized by evidence grade level. The SRE is a stand-alone tool and is mirrored in the Practice Guidance Toolkit, replacing the Key Findings and Recommendations section. The 200th Knowledge Pathway, The Outcomes of Dietitian Interventions, was just published in PEN, which means that we have many SREs to create! So far, we have created more than 70! The remainder of SREs will be in the former Evidence Summary format until content in those KPs are updated or new content is added. We hope you enjoy these new tools and find them helpful in your practice. We always welcome feedback on new tools in PEN via Contact Us. The PEN® System has a vast collection of knowledge pathways covering the nutrition care process of many clinical conditions and their nutritional management. Fourteen of the 200 knowledge pathways in PEN are diabetes-specific and are currently in the process of being updated to reflect the newly released UK and Canadian diabetes clinical practice guidelines, with help from contributors from Australia, Canada and the UK. While these knowledge pathways are being updated, Dietitians of Canada and the British Dietetic Association are collaboratively condensing various parts of the UK and Canadian updated diabetes guidelines for you, and in true PEN® style, translating the evidence into practical advice. These joint submissions are featured in past, current and future PEN® eNews issues. The previous articles focused on type 2 diabetes, remission and obesity; and diabetes prevention. This issue will focus on cardiovascular protection, lipids and blood pressure. While people with diabetes are at increased risk of premature morbidity and mortality related to cardiovascular disease, research over the past two decades has provided strong evidence to inform risk reduction strategies, target setting and has resulted in the discovery of new classes of medications to help reduce glycemic, lipid and blood pressure risk factors. A cornerstone of comprehensive cardiovascular protection and risk reduction remains healthy eating and increased physical activity levels. Replace saturated fats with unsaturated fatty acids and limit trans fatty acids. Consume two portions of oily fish per week. Consume less than 6 g of salt (2.4 grams sodium) per day. Consume at least 18 g of fibre per day. Engage in a minimum of 150 minutes of moderate intensity physical activity per week. Consume less than 14 units of alcohol per week. As noted in the previous article discussing diabetes prevention, the Diabetes UK guidelines also recommends 5% weight loss in individuals with overweight or obesity. The DASH and Mediterranean diet are recommended for reducing the risk of CVD in individuals with diabetes due to the effects these diets have on lowering BP and cholesterol. The diabetes UK guidelines suggests that 2-3 g of sterols/plant stanols per day can be recommended. An intensive healthy behaviour intervention program, combining dietary modification and increased physical activity may be used to achieve weight loss, improve glycemic control and reduce cardiovascular risk. To reduce the risk of cardiovascular disease, adults with diabetes should avoid trans fatty acids and consume less than 9% of total daily energy from saturated fatty acids replacing these fatty acids with polyunsaturated fatty acids, particularly mixed n-3/n-6 sources, monounsaturated fatty acids from plant sources, whole grains or low GI carbohydrates. Adults with type 1 and type 2 diabetes may aim to consume 30 to 50 g/day of dietary fibre with a third or more (10 to 20 g/day) coming from viscous soluble dietary fibre to improve glycemic control and to decrease cardiovascular risk. Adults with diabetes should select carbohydrate food sources with a low GI to help optimize glycemic control for type 1 and type 2 diabetes; to improve LDL-C and to decrease cardiovascular risk. 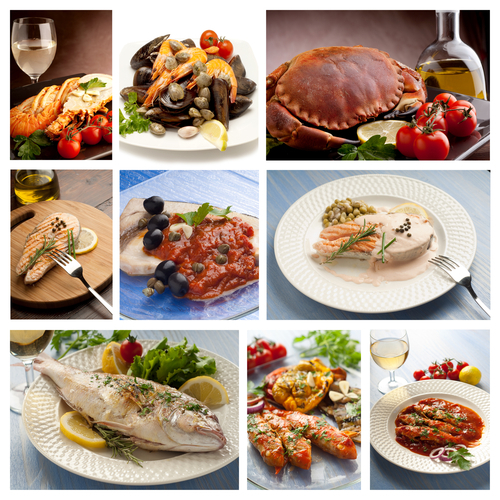 Mediterranean style diet (reducing major cardiovascular events and improving glycemic control). vegan or vegetarian diet to improve glycemic control, body weight 3, reduce LDL-C and reduce myocardial infarction risk. DASH diet to improve glycemic control, blood pressure, reduce LDL-C and reduce major cardiovascular events. fruit and vegetables to improve glycemic control and reduce cardiovascular mortality. nuts to improve glycemic control and LDL-C.
A = A1C - aim for blood glucose control with a target A1C of 7.0% or less. C = cholesterol - aim for LDL-cholesterol less than 2.0 mmol/l. E = eating and exercise - healthy eating and regular physical activity can improve overall fitness, help to achieve and maintain a healthy body weight. 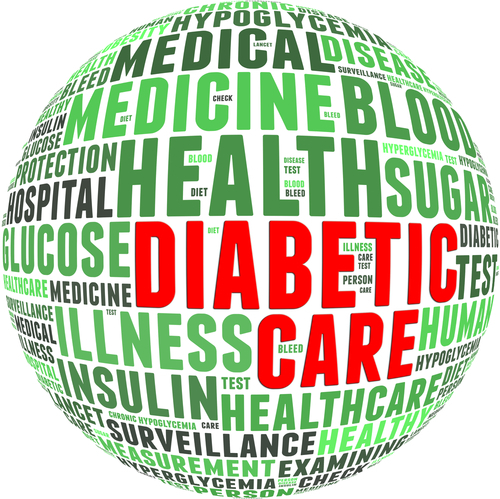 Research on diabetes remission has continued since the release of the recent U.K. and Canadian clinical practice guidelines. The DiRECT (Diabetes Remission Clinical Trial) enrolled 280 overweight or obese participants (age 20-65, diagnosed with type 2 diabetes within the past six years) from primary care practices into either usual care or a three to five months low calorie diet program followed by supervised food reintroduction and support to achieve long-term weight loss (3). At 12 months the research team found that almost half of participants achieved A1C levels of <6.5% following weight loss (57% of participants who lost 10-15 kg; 86% of participants who lost 15 kg or more). The ReTUNE (Reversal of Type 2 diabetes Upon Normalisation of Energy intake in non-obese people) Study began January 2018 and will run until December 2020 (4). This trial will investigate the effects of a supervised low calorie diet (800 calories/day), followed by reintroduction of regular diet and weight loss maintenance on medication use and potential diabetes remission. On October 24-26, 2018, I was delighted to be invited by the scientific and organizing committee to attend, participate and present at the 4th Dubai International Nutrition Congress (DINC). I presented a session on «Clinical Nutrition Management Challenges » and on behalf of the PEN (Practice-based Evidence in Nutrition) System, I also offered a workshop and shared through the 3-day conference how the PEN system can support dietitians (clinicians, practitioners, academics and students) and other healthcare professionals to be evidence-based practitioners in the Middle East Region. Dubai International Nutrition Congress (DINC) was hosted by the Dubai Health Authority in United Arab Emirates (UAE) and attracted key leaders and experts in the field of nutrition and dietetics from UAE, other GCC (Gulf Cooperation Council) countries such as Saudi Arabia, Kuwait, Bahrain, Oman, Qatar but also attendees from Jordan, Egypt and many from my birthland Lebanon. DINC featured a wide range of scientific sessions by national and international speakers on clinical and community nutrition and food science. The global nutrition community is managing many of the same nutritional issues such as malnutrition, diabetes, obesity, allergic disease, eating disorders, cancer and gut disease. As dietitians and health care professionals, we face the continuing challenge of how to quickly access the rapidly expanding nutrition evidence base and locate the best tools and resources necessary to help us apply that evidence into our practices. One of my roles at DINC was to introduce and help participants of the Middle East region to become familiar with the key features of the PEN system, understand how the PEN system evaluates the quality of evidence, experience how PEN supports evidence-based practice in a variety of settings and encourage them to participate in the PEN Community because they have no other similar resources available in the region. Feedback received was that the PEN System provides simple access to timely, current and authoritative guidance on food and nutrition topics. It offers evidence-based answers to the questions encountered in every day practice. This congress was an excellent opportunity for all participants from different middle eastern countries and specialties to discover the value of PEN Nutrition. By working together, the PEN global system has created a relevant and sustainable evidence base that demonstrates the value of nutrition and dietetics around the world. Adopted by a growing number of nutrition and dietetic associations, I encouraged dietitians and key leaders in nutrition from the UAE, middle east and gulf region to join the PEN system and to enhance their evidence-based practice. The PEN team monitored usage statistics from 10 selected countries known to have representatives in attendance at the congress. We noted a spike in the number of free trials and welcome our colleagues from the Middle East Region. Are you ready to print your food? Surprising findings about vitamin D and fish oil – maybe you don’t need supplements? Primary and Secondary CVD Prevention and Daily Fish Intake – Wow! 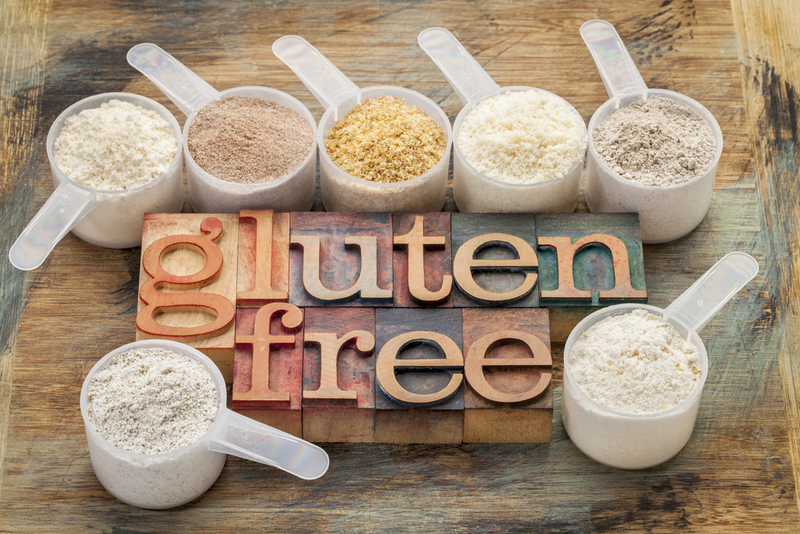 As most dietitians are aware, gluten-free diets are not just for those with Celiac disease. It has been estimated that, worldwide, millions of people intentionally follow a gluten-free diet even without Celiac disease (1). The dietary practice is so popular that it is no longer just an area of research for medical or nutritional sciences. A very interesting study (titled “Too Picky for My Tastes?...”) recently published in the social sciences explored the concept of a consumption stereotype with regards to those who follow a gluten-free diet and how might that impact impression formation and dating interest. In the dating context, those following a gluten-free diet were viewed by non-dieters as more likely to be picky, demanding, selfish, entitled, arrogant, difficult to please, high-maintenance, judgmental and complaining but also as more self-disciplined, moral, healthy, confident, intelligent, understanding and energetic. Following a gluten-free diet was viewed as more associated with femininity and judgments of men following a gluten-free diet were more negative than those of women who were following it. There was initially some hesitation by survey participants to date those following a gluten-free diet, but in the end, no difference was observed in a mock dating experiment when presented with potential romantic partners’ dating profile. I find studies that merge nutritional science and social science topics together as these investigators have done to be very intriguing. Such research can have important implications for dietitians; from impacting nutrition counseling to message development and more. I look forward to reading additional novel, cross-field research studies such as this one in the future. 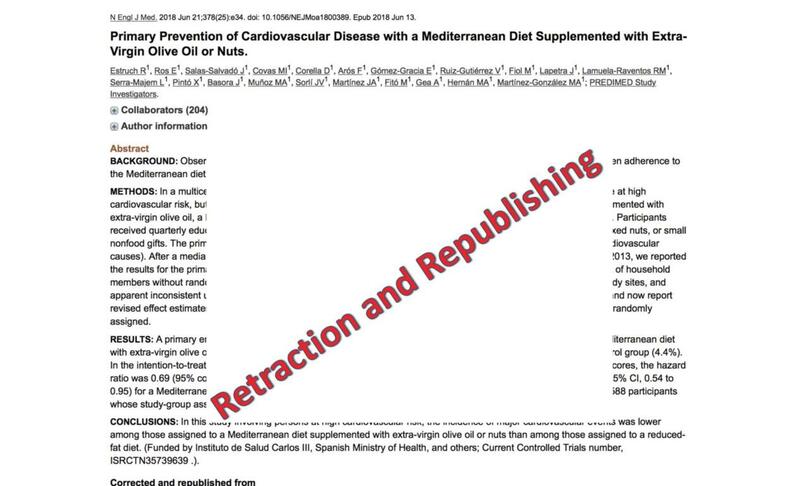 A landmark study on the Mediterranean diet (PREDIMED trial) made news this year as the #1 most highly cited retracted paper on Retraction Watch (1). The PREDIMED trial was a diet study on 7500 people in Spain, which reported that eating a Mediterranean diet supplemented with olive oil and nuts could reduce cardiovascular disease events by 30%. The New England Journal of Medicine retracted and then republished the study (2). PEN reported on this as a Trending Topic (Update on the Mediterranean Diet). The physician behind the retraction was John Carlisle who applied statistical tests to scrutinize over 5000 RCTs across eight journals published from 2000-2015. Basically, for experiments in which people are randomly assigned to different groups, the characteristics of the groups should be similar before the trial begins. Carlisle used statistical tests to identify whether the distribution of height, weight, age and other factors were implausible, resulting in a non-random assignment of volunteers to different treatments. The PREDIMED trial was flagged as suspicious. Digging up records from the start of the trial, the researchers uncovered that up to 1588 people hadn’t been properly randomized: some people were assigned to the same diet as someone else in their household, some people in rural areas were assigned to different diets based on proximity to a clinic. The authors reanalyzed the data and found that the conclusions were the same, but with less statistical power than the original paper. Of concern is the fact that the original 2013 landmark study has been cited over 1900 times in other articles (1). There have also been several other post hoc analyses published from the original PREDIMED trial, many of which are now having errata published (http://www.predimed.es/publications.html). Although retractions are pretty rare (minor corrections are more common), they are concerning. I take heart in the fact that journal editors and authors are more open to the possibility of questioning data, and willing to allow people to look at their data to identify and correct errors. Let’s continue to look at research critically and examine individual studies in the context of the entire body of evidence. When I was young, I used to spend a lot of time thinking up far-fetched inventions and writing them out in great detail. One summer afternoon I “invented” a printer which could “print” real food for consumption. The concept was that anything that could be drawn in Microsoft Paint could be printed – the possibilities would be endless! I guess the idea wasn’t so far-fetched after all because 3D printing of food has been actualized, and it appears to have broad potential. 3D printing is an additive manufacturing process which builds objects by depositing a printing medium in layers to create three dimensional objects designed using a computer-aided design (CAD) software (1). Similarly, for food 3D printing, the printer’s syringe-like container is filled with ingredients (e.g. edible powders, gels, sugars, doughs) which are deposited as layers on top of one another to create food products (1). Food 3D printing can have many applications. Some of the early adopters of this technology are using it to produce foods tailored to specific nutritional needs, such as forming vegetable purees into more appetizing-looking meals for those with chewing difficulties (2). 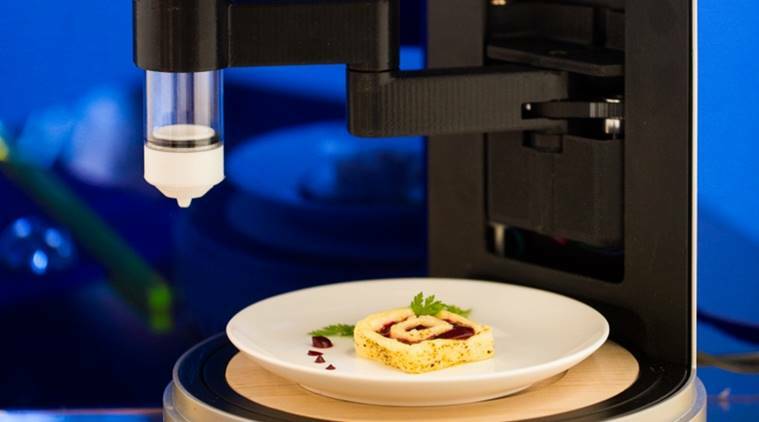 Not only does 3D food printing boost culinary creativity, it offers the potential of nutrient and ingredient customizability and food sustainability (1). At present, food 3D printing is still in its infancy. It will surely be interesting to see the progression of this technology and its applications in the field of nutrition, food and health care. PEN has a Background document in the works for 2019 on this topic! I have always had a particular interest in breast cancer research as my first role as a research dietitian was setting up a study looking at a very low fat diet for women previously diagnosed with breast cancer. I was interested to read about research done by Dr Michelle Harvey’s group in Manchester, England. I knew from my own work that women who have previously had a breast cancer diagnosis and have been advised to lose weight to improve their health post treatment often find it hard to achieve and maintain weight loss. Previous research in Manchester had shown that intermittent energy restriction comprising two days of low energy intake and the remaining five days on a Mediterranean diet resulted in better insulin profiles and adipose tissue loss in this group than those randomised to the other arm which comprised a calorie restricted Mediterranean diet . What surprised the group was the “carry over effect”, the intermittent energy restricted group reduced their energy intake by 25% on the “other” days. A new study was conducted to investigate this phenomenon using a qualitative methodology. The study participants had all been in the intermittent energy restricted arm of the previous trial, women who has lost 5% of their body weight were compared with those who had been unsuccessful. The researchers found three themes; “(i) redefining dieting; (ii) the impact of intermittent dieting on normal eating behaviour and diet adherence; and (iii) reduced cognitive complexity with the intermittent diet”. The results in theme (i) suggest that the women viewed the 2 days as “dieting days” and the other 5 as non-dieting days even though the healthy Mediterranean diet was healthier and lower in energy than their previous “normal” diet. Watch for PEN content on intermittent fasting in 2019. Historically we’ve seen subgroups of the population such as the Inuit’s with higher intakes of fish, experience lower levels of cardiovascular disease. Observational studies have often suggested a relationship between omega-3 intake and cardiovascular disease. This has potentially contributed to the strong public belief that omega- 3 supplementation offers benefit for cardiovascular disease and the resulting high intake of these supplements. This belief has often been maintained despite key national guidelines and recommendations, such as the NICE guidelines (1), encouraging fish intake but not supplementation with omega-3. This highlights the potentially disjoint we see often between the evidence and recommendations and the public’s belief. This year we saw the release of an updated Cochrane systematic review- Omega-3 fatty acids for the primary and secondary prevention of cardiovascular disease (2). This review included high quality trials investigating the effect of omega-3 on cardiovascular disease in more than 110,000 people from many countries around the globe. The review found little to no benefit of Omega-3 in cardiovascular disease. This high quality review received significant public attention worldwide and will hopefully help lead to a change in the public’s belief on the perceived benefits of omega- 3 supplementation. For me this review continued to highlight the importance of considering dietary patterns in disease prevention and management. Individuals and populations don’t eat nutrients in isolation and as dietitians it’s crucial we continue to consider the role of dietary patterns and environments in health. NICE Guidelines NICE. Cardiovascular disease: risk assessment and reduction, including lipid modification Clinical guideline [CG181]. www.nice.org.uk/guidance/cg181 July 2014, last updated September 2016. Cochrane: Abdelhamid AS, Brown TJ, Brainard JS, Biswas P, Thorpe GC, Moore HJ, Deane KHO, AlAbdulghafoor FK, Summerbell CD, Worthington HV, Song F, Hooper L. Omega 3 fatty acids for the primary and secondary prevention of cardiovascular disease. Cochrane Database of Systematic Reviews 2018, Issue 7. Art. No. : CD003177. DOI: 10.1002/14651858.CD003177.pub3. Preliminary results from a 3-year Canadian investigation into varying doses of vitamin D and the effect on bone health were shared by researchers from the University of Calgary at two recent conferences (1,2). In this double-blind randomized clinical trial, 373 participants aged 55 to 70 years (with serum 25­hydroxyvitamin D level between 30 nmol/L and 125 nmol/L) were randomly assigned to take 400 IU, 4,000 IU or 10,000 IU vitamin D3 daily for 3 years (and they took calcium supplements if dietary intake was < 1,200 mg calcium/day). Results: The incidence of hypercalcemia varied between the vitamin D groups, ranging from 0 in the 400 IU group, to 3% and 9% in the 4,000 and 10,000 IU groups, respectively (P < .001) and the incidence of hypercalciuria was 17% in the 400IU group, 22% and 31% in the 4,000IU and 10,000 IU groups, respectively (P = .04). (When there was hypercalciuria, it was resolved by reducing calcium intakes/stopping supplements.) Of note, the researchers also refer to a dose-related negative effect on bone microarchitecture in one abstract (1). The researchers recommend “… that clinicians and patients consider [these findings] when weighing the risks and benefits of high­dose vitamin D supplementation" (2), which makes me curious to read the full results when they are published! The VITAL study at Harvard U in Boston, USA, released its long-awaited results in November 2018 as well (3,4). This randomized, placebo-controlled trial provided vitamin D3 at a dose of 2000 IU per day and marine n−3 fatty acids at a dose of 1 g per day (together and separately) to men 50 years of age or older and women 55 years of age or older in the United States. The primary end points tracked were major cardiovascular events (myocardial infarction, stroke, or death from cardiovascular causes) and invasive cancer of any type, to study primary prevention of these outcomes. Results: “Supplementation with n−3 fatty acids did not result in a lower incidence of major cardiovascular events or cancer than placebo.”(3) and “ Supplementation with vitamin D did not result in a lower incidence of invasive cancer or cardiovascular events than placebo.” (4). So, what are the recommendations out there? In the United States, the recent Position of the Academy of Nutrition and Dietetics on Micronutrient Supplementation discusses the effect of nutrient supplementation on chronic disease prevention (5). With respect to vitamin D, the Academy cites recent recommendations of the US Preventive Services Task Force (USPSTF). In 2018, the USPSTF recommended against daily supplementation of 400 IU or less of vitamin D and 1,000 mg or less of calcium for the primary prevention of fractures in postmenopausal women, and further concluded there wasn’t enough evidence to recommend any dose for fracture prevention among community-dwelling men and premenopausal women (6). In Ireland, researchers reviewed data from a hospital laboratory, evaluating trends in serum 25-hydroxyvitamin D (25OHD) levels between 1993 and 2016 (7). They observed that the yearly increase in mean 25OHD over the past 24 years was approximately 1 nmol/L/year and continuing to rise, likely due to higher oral intakes of vitamin D. Their concluding dual concern is that “policies to prevent hypovitaminosis D must be offset by strategies to avert hypervitaminosis D” (7). In Canada, Health Canada continues to explore regulatory options for “supplemented foods” (foods containing high levels of added nutrients) and non-prescription natural health products (NHPs - soon to be called “self-care products”, including vitamins and minerals). There is even some pressure to allow an increased dose of vitamin D to be sold in Canada. Health Canada is currently exploring whether to allow vitamin D supplements to become available in doses of 2000 IU/dose – there will be public consultation in early 2019 on this issue. So what have I decided? Well, since I had already bought some vitamin D tabs, I’ll just finish these 1000 IU tablets by taking them every other day this winter – a little won’t hurt even if it doesn’t help, but a lot is not recommended! And I won’t take any extra calcium or fish oil, since my dietary intake is pretty good – there doesn’t appear to be any extra value for primary prevention of chronic diseases. 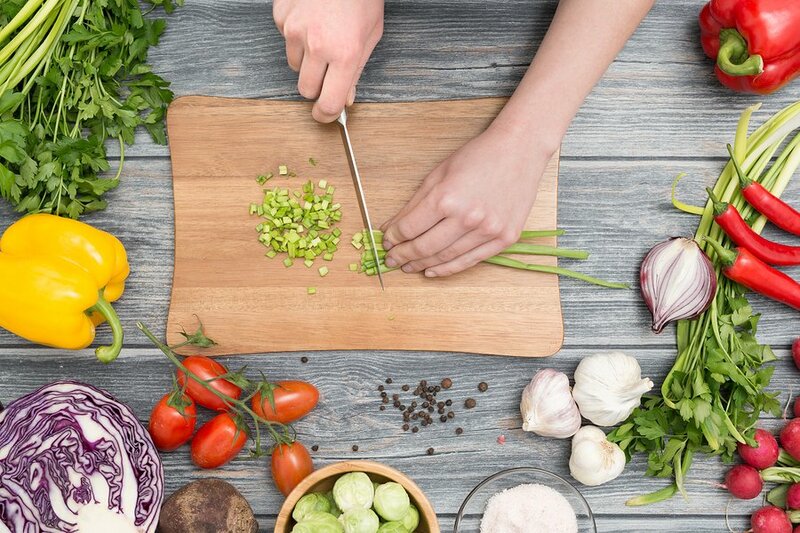 Writing about these ‘surprising findings’ reminds me of one of our ‘brand’ positioning lines: “Dietitians are driven by curiosity to understand the science behind food and its connection to health.” (https://www.dietitians.ca/Member/Get-Involved/Dietitian-Brand-Initiative/Positioning-Lines.aspx) Yes – we are always curious, and sometimes surprised! Should a prebiotic supplement be recommended to adults with ulcerative colitis to manage their condition (active or in remission)? Should a prebiotic or synbiotic supplement be recommended to help adults manage Crohn’s disease (active or in remission)? Should diets lower in glycemic index (GI) or glycemic load (GL) be recommended for the primary prevention of cardiovascular disease (CVD) or the secondary prevention of CVD (i.e. individuals with a history of CVD or with multiple CVD risk factors, e.g. metabolic syndrome)? Are diets lower in free sugars (including sugar-sweetened beverages) recommended for the primary prevention of cardiovascular disease (CVD) or secondary prevention of CVD (i.e. individuals with a history of CVD or with multiple CVD risk factors, e.g. metabolic syndrome)? Should lower versus higher initial and progressive rates of refeeding be used for mildly, moderately or severely malnourished inpatients with anorexia nervosa? Are probiotics recommended in the management of adults with lactose intolerance? Are probiotics recommended for the treatment of functional constipation in children? Do adolescent and adult inpatients diagnosed with anorexia nervosa have better outcomes (especially weight gain) when refed meals supplemented with nasogastric feeding compared to meal-only approaches? What is the effectiveness of dietary fibre supplements for treating functional constipation in children? Is a high fibre diet recommended to treat functional constipation in children? Are prebiotic oligosaccharides recommended for the treatment of functional constipation in infants, children and adolescents? Should omega-3 fatty acids (fish or plant-based food or supplements) be recommended for primary or secondary prevention of cardiovascular disease (CVD)? Thanks to all our PEN authors and reviewers for making this content possible. In an email note last month to colleagues I mentioned that I was finding that time was going by faster and asked if someone might help slow it down! While a monthly task was sent around a week earlier than usual which helped to prompt this feeling, I did think that once my kids had left home that time would slow down a bit. Looking briefly at the literature it seems the study of time passage has been ‘a thing’ for some time. Lewis writes in her Scientific American post (1) that psychologist William James noted in 1890 that as we age, time seems to speed up. William James hypothesized that it is because as adults we don’t have as many memorable events as we would have had when were younger (1,2). Stress, or the pressure of perceived time appears to play a big part as well (1,3). What doesn’t appear clear is if the passage of time is perceived to be faster only by older adults (3). Friedman and Janssen (4) studied reports from 1865 individuals (16-80 years) and found no clear differences of how the passage of time perception changes with aging. Another study assessing the ‘direct experience of the flow of time in everyday life’ in 15 younger adults and 14 older adults measured through experience sampling methodology (ESM) questionnaires, completed at different times throughout the day, showed that both age groups felt that time passed more quickly as they aged and that time passes faster in the present than when they were younger (5). This was significantly related to emotional states and the how much an activity captivated their attention. 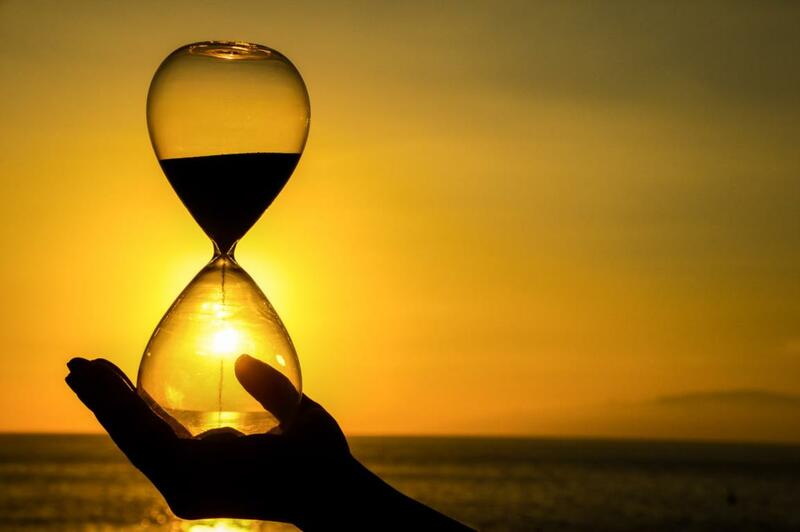 This research on the perception of time as we age is interesting, and more is needed related to emotional factors and the activities that capture attention to better understand perceived time passage between the ages (3). In reality though, “time is not literally getting faster” (1) and likely what is most important is to not dwell on time but instead on enjoying the activities you are involved with. James, W. The Principles of Psychology (2 vols.). New York: Henry Holt; 1890. I was surprised at the strength of evidence (Grade B) of taking calcium supplements (but not other supplements) for reducing premen strual menstrual syndrome symptoms. 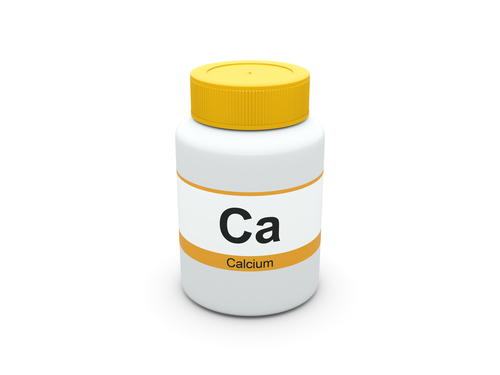 Supplementation of 1000-1200 mg/day of calcium carbonate resulted in a 50% reduction of symptoms (depression, tension, mood swings, crying spells, anxiety) as reported in a systematic review. Women should be advised to not exceed the upper tolerable maximum limit of 2000-2500mg of elemental calcium from all sources. For more information see PEN® Practice Question: Do dietary supplements reduce the symptoms of premenstrual syndrome (PMS)? In the SACN report from 2015 (1), they recommended that ‘free sugars’ (added to foods and drinks, found in honey, syrups and fruit juice) should provide no more than 5% of total daily energy intake. Reports from the UK National Diet and Nutrition Survey (NDNS) from 2014-2016 (published in 2018) suggest that sugar makes up 13.5-14.1% of children aged 4-18yrs daily calories intake with sugary drinks being the main source of sugar for teenagers (2). I welcomed the UK government’s Soft Drinks Industry Levy being introduced in April this year as a step to helping to reduce childhood obesity. The BDA supported this levy and produced a policy statement following this. The Levy is charged at two rates; 24p/litre on drinks with more than 8g added sugar per 100ml and 18p/litre for drinks between 5 and 8g per 100ml. 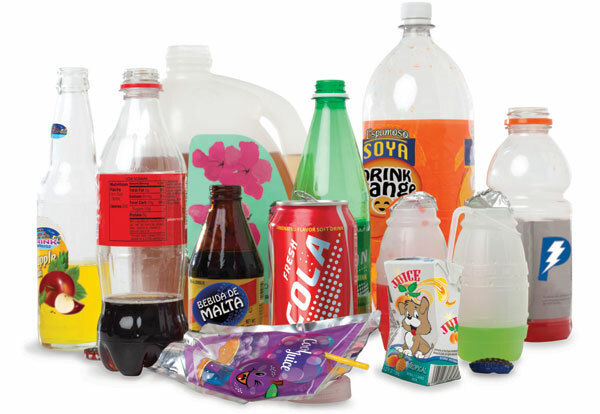 The soft drinks industry has been reducing sugar and calories intake on soft drinks since 2013, this is down to 16.8% from 18.7% in 2013 according to the British Soft Drinks Association (3). The PEN System’s knowledge pathway on child and youth nutrition provides an evidenced-based recommendation on interventions to help reduce the consumption of energy from sugar-sweetened beverages (SSBs) in children. 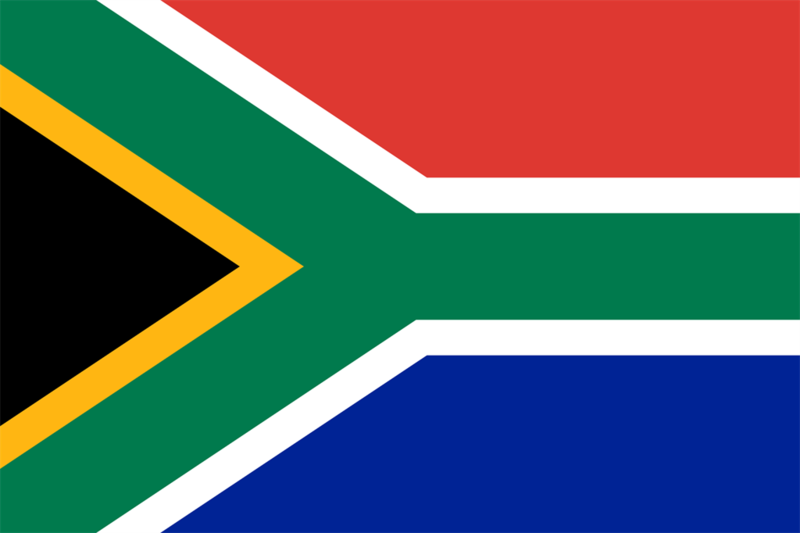 Limiting the availability of SSB in schools and developing education programmes aimed at reducing the intake of SSB are two interventions supported by RCT. It will be interesting to see the results from the next NDNS to see if the levy as well as other interventions (such as those recommended by PEN) further reduce the intake of sugar. The levy is a positive step at tackling childhood obesity, but the complex issue clearly requires many more steps from the government and industry. I was surprised to find a research study using a coupled modelling framework on optimal taxation for red and processed meat consumption following the sugar levy (4). With an estimated average taxation of 25%, the study estimated that the consumption of processed meat would decrease by 16% whilst red meat remained the same. The study reported that the estimated number of deaths related to the consumption from red and processed meat would decrease by 9%. As this study used a modelling framework, the findings rely on many assumptions which may not be replicated in real life. The study is also unable to control for confounding factors and consider what the meat intake may be replaced with. Unlike free sugars, there are nutritional qualities of meat which would also be an important factor to consider. As the Editor for PEN, I review all of the content that is published on the website. I have to confess there are not many items that catch me off guard, as I am always expecting change due to the nature of our profession and the volume of research that is continually published. For the primary or secondary prevention of CVD, we suggest not taking omega-3 fatty acid supplements (EPA and DHA) (conditional recommendation, moderate quality evidence ⊕⊕⊕⊝). For the primary or secondary prevention of CVD, we suggest increasing alpha linolenic acid (ALA) intake (ALA-rich or enriched foods) (conditional recommendation, low quality evidence ⊕⊕⊝⊝). For the primary and secondary prevention of CVD, we suggest regular consumption of fish (e.g. 1 serving or ~100 g/day) as part of an overall healthy dietary pattern (conditional recommendation, low quality evidence ⊕⊕⊝⊝). The focus on obtaining omega-3 fatty acids through food and not supplements does not surprise me, nor does the risk-decreasing potential of eating fish. Although I don’t always remember what I edit, I do remember the overall themes. One of which is that in many cases nutrients obtained via food are better utilized in the body that nutrients obtained via supplements. What surprised me was the recommendation for daily fish intake. I understood why the recommendation was made as it is supported by evidence (albeit low quality evidence from observational studies), but daily fish intake? How does that work and what are the individual/family, environmental and economic implications? On an individual level, I have been trying to incorporate fish into my diet (and my husband’s!) on a daily basis. Living in Newfoundland and Labrador, fish availability is not a challenge and canned salmon is always easy. I haven’t been able to consume fish seven days a week yet, but I am hoping 6 oz on one day counts for two! My children are now young men, but what if they were still sitting at my table every day for their meals? Would daily fish be acceptable to them? What about on environmental and economic levels? Is the impact of additional fish consumption balanced by the decrease in other animal protein sources? What about fish stocks? Does this impact on the long-term viability of fish stocks and/or does it create opportunity for enhanced markets and businesses? It is fascinating to consider the many impacts that one recommendation can potentially have. It is also important to consider that this one recommendation needs to be considered in the context of overall heart healthy dietary patterns that promote vegetables, fruit, whole grains, legumes and nuts, and limit sources of free sugars, saturated fat and trans fat. In adults with elevated LDL cholesterol (LDL-C), what are the effects of the following dietary components on LDL-C levels: fibre, plant sterols, nuts, soy and pulses? the studies that support fears about fluoride often have design flaws and are frequently misreported. In Canada, Australia and other countries where fluoride is added to water supplies, it is added at 0.7 mg/L (1,2). The amount was decreased from 1 mg/L a few decades ago to optimize the dental benefits in terms of less decayed missing and filled teeth, while minimizing the appearance of dental fluorosis. Mild dental fluorosis appears as some whiter spots on the teeth while severe fluorosis can appear as yellow to brown staining and create uneven surfaces. Some communities with very high fluoride concentrations in the water supplies such as 15 mg/L (3,4) have provided a natural experiment to examine health effects of higher levels of fluoride, and how fluoride concentrations are related to fluorosis. Most of the areas that have very high fluoride concentrations in the water supplies are in the middle east countries (5) and some communities in Mexico (3). A mouse study with 97 times the recommended dosing: 68 mg/L instead of 0.7 mg/L (10). A study referred to as “Impact of drinking water fluoride on human thyroid hormones: A case-control study) mis-reports their null findings and used very unusual analysis and reporting methods (11). The only analysis that used the study’s case-control design appropriately was not reported accurately. Their study found no risks of fluoride in drinking water but they concluded that “standard household water purification devices was recommended for hypothyroidism”. This concluding statement suggests some risk when no risk was identified. A more recent study reported an association between urinary fluoride in pregnancy and parental reported symptoms of ADHD and inattention in the offspring in Mexico City (12). These researchers did not measure the water fluoride content but did note in their introduction that some of the water has contents that ranged up to 1.4 mg/L (twice the usual water fluoridation level) and that fluoride was also added to salt as a supplemental source. Since the water in Mexico City naturally contains fluoride at levels higher than usual fluoridation levels, these researchers should have measured the water and mentioned this data in their paper to be able to provide context to their findings. In summary, after in-depth reading about health effects of fluoride, I have learned that fluoride in very high doses can be of a concern, particularly to the appearance of teeth and perhaps some other health effects, but the dose is key. 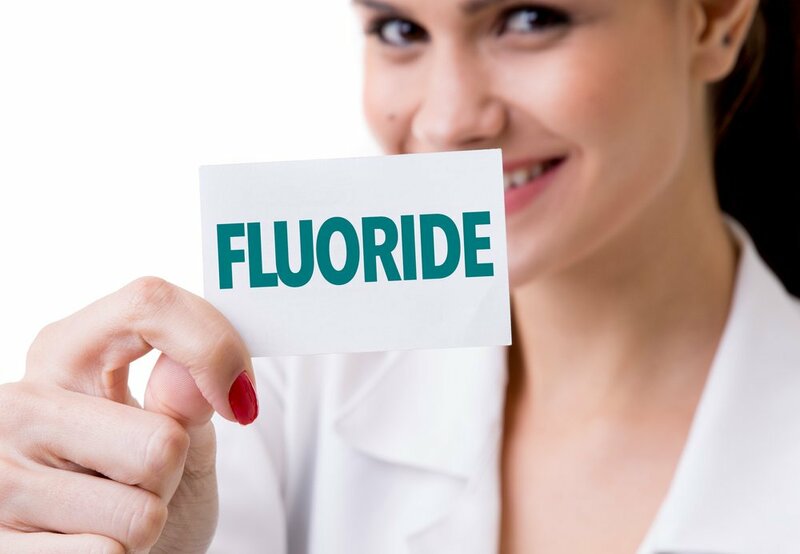 The analyses and write ups of studies that suggest that fluoride is of higher risks has generally been poorly conducted and subject to biased reporting of results. Unfortunately, this biased reporting may contribute to an inaccurate picture of the evidence. I encourage everyone to look at the fluoride doses people are exposed to in the studies and to pay attention to the analysis methods used in the studies. Everything, including water and oxygen, are toxic in extremely high doses. Health effects of any substance at extremely high doses do not inform us about the health effects at carefully controlled doses. While recently the focus for the PEN team has been updating older content we do like to look ahead to see what new topics we should be adding. In doing so, I came up with the topic of transgender people and wondered about any particular nutritional requirements or health issues. The article by Fergusson P, Greenspan N, Maitland L and Huberdeau R: Towards Providing Culturally Aware Nutritional Care for Transgender People: Key Issues and Considerations is a key one for all dietitians to read whether you work specifically with this population or not. As the authors indicate, dietitians, “need to be aware of key issues in transgender health to provide culturally competent clinical nutritional care” (1). 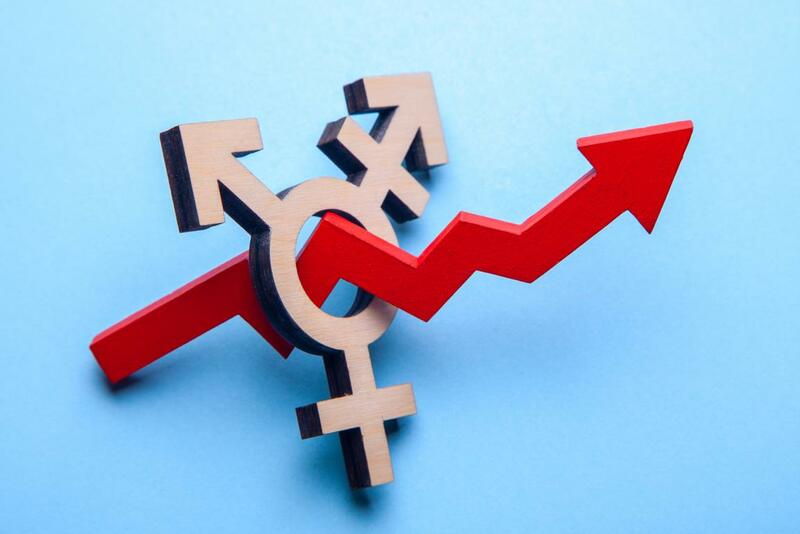 In addition to learning about the terminology of gender identity and that the terms are constantly evolving, the article makes recommendations for providing safe health and nutritional care. As a topic new to me, most of the article could be classified as “surprise findings” such as which equation to use to calculate energy requirements, establishing healthy weight because of changing muscle mass, etc. Perhaps the greatest surprise to me, because I hadn’t thought of the implications, was the possible increased risk of cardiovascular disease because of oral ethinyl estradiol – a hormone prescribed for male to female transgender people. This issue of increased risk of CVD is further explained in an article by Gooren et al who indicates that people with pre-existing cardiovascular risk should probably be prescribed transdermal estrogens (2). Reading this article led me to wonder what is being taught these days in the university nutrition / dietetic programs. I assume and hope that the topic is being addressed. Dietitians need to be ready to be “trans-friendly and respectful” in their practice (3).